OLD PARKED CARS. 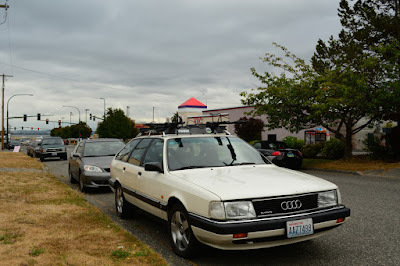 : 1991 Audi 200 Quattro Avant. 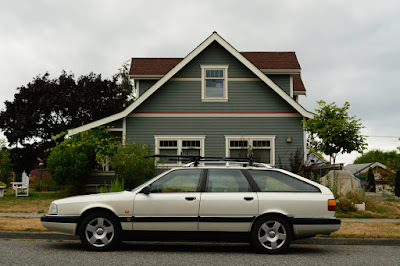 1991 Audi 200 Quattro Avant. Cars from the 90's? C'monnnnnn! No. Just no. Hey Pete, my cutoff and I think this blog's is 1995, that's the beginning of the end for vehicle aesthetics. I've only owned one vehicle and it was a gray/black 1993 Mitsubishi Montero with leather seats. It looked rogue which is an adjective that can't be placed on hardly any vehicles ever made. Because of that there is one in Blood Diamond, in the main chase in Body of Lies and the main antagonist vehicle in Green Zone. The two latter movies are not good however it still fit well in a rough setting/environment. Here it is by an old factory, I don't own it anymore. Still though Ben and Tony have only posted a first-generation Montero/Pajero. Cool, Anon! At least compared to most of the bland 90's crap, that Montero had some character! My cousin had an older 2 door Montero in red- I'm glad you posted the pic 'cause that's what I was picturing when you said Montero. Dig that butterscotch C10, too! Holy jit! I didn't even notice! To Hell with the Audi- let's see the C/K-10! 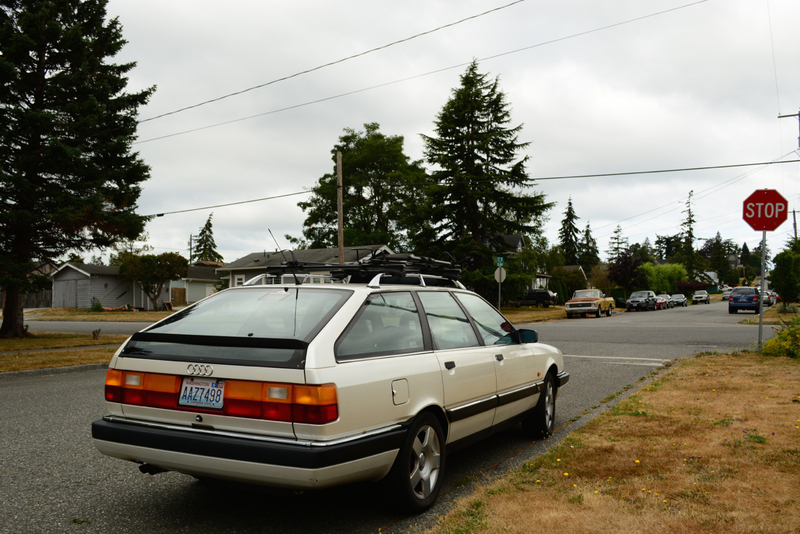 Any pre-1996 Audi still running is a miracle, if not a classic. Certainly worth sharing. Great website mate! I would say cars from the mid 90's are still aceptable in terms of styling. More importantly, they still have a well used charm to them. 1991 Audi 200 Quattro Avant is my fav car. 1991 is pretty late, but we don't have a formal cutoff. i think the crazy thing about this car is how ahead-of-its time the styling is. it looks to me like a late '90s car. but also with the simple, honest charm of a proper long-roof. A friend of mine has similar car, a bit older though. 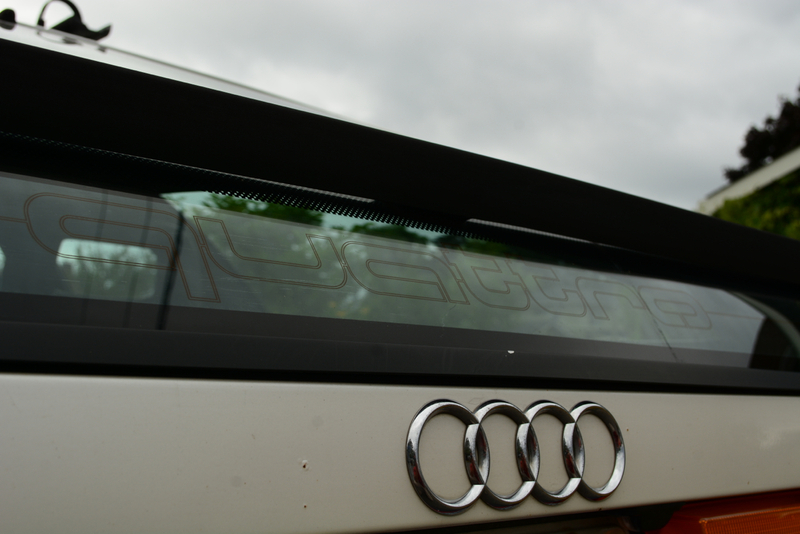 Make no mistake: It's a luxury car, top of the line for Audi at that time (V8 came later). Despite being an Avant. Central locking is also vacuum operated and when the car gets old, vacuum hoses tend to leak. Nasty stuff and very hard to diagnose, even worse than broken wires. Combine that to VAG policy where spare parts cost the same (+inflation, of course) whole life cycle of the car, meaning they are very, very expensive for an old car with market value in hundreds or one grand. Total opposite of BMW/Mercedes who drop the spare part prices when model gets older, up to 20 years, official end of factory support. Most parts are still available via "Mobile Tradition" (as BMW calls it), but at higher price and longer delivery times. Still much cheaper than parts for a new (similar) model. One reason I've end of 80s BMWs and not a V8 Audi: No quattro but cheaper spare parts. My Grandfather has also the same model. But since he is no more the car was handed over to me according to his will. But the problem is I do not have any kind of idea about its function. On top of it I think it needs repairing. So I am kind of looking for an online repair manuals.